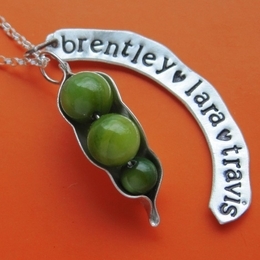 Show off your family pride with this beautiful Personalized Three Peas in a Pod Necklace for triplets! 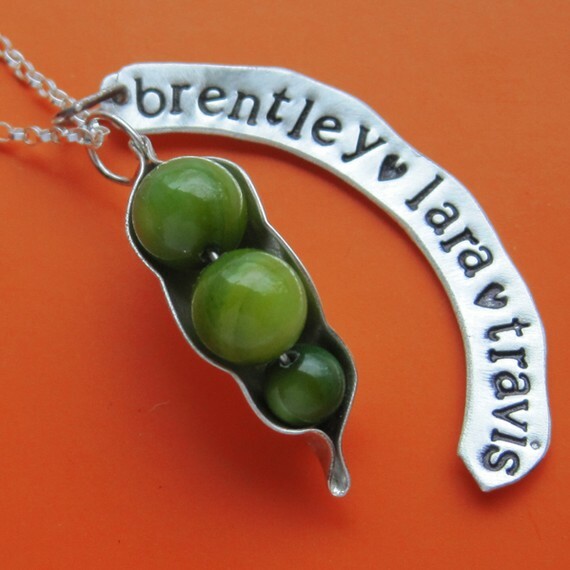 This necklace features a small sterling silver peapod holding green mother of pearl beads along with a sterling silver hand-stamped tag with the names of your triplets, all hooked onto a sterling silver chain. The tag is hand stamped in silver, then oxidized and brushed to accent the letters. 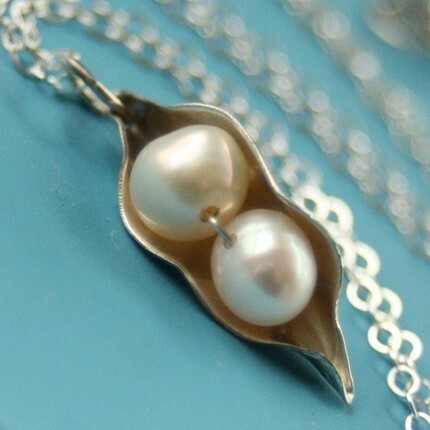 Choose from either green peas or white! What a beautiful, creative and personalized gift for a new or expectant mother of triplets!